I'm going to explain this artcile with "Notepad" applicaiton. 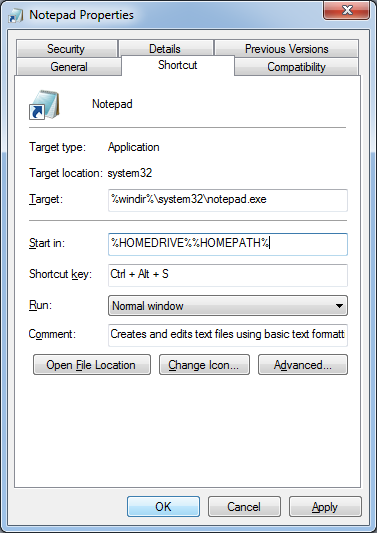 After reading this post, you'll be able to launch the "Notepad" application with a keyboard shortcut in Windows. 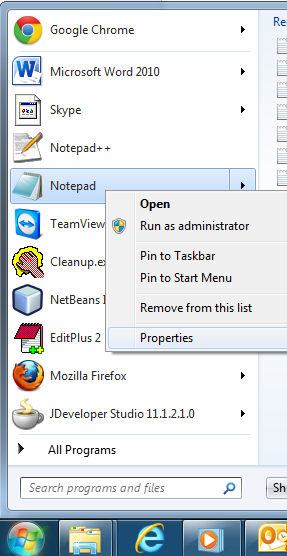 Locate the program and right click on it to get a context menu, choose properies. Place the cursor in "Shortcut key" field and choose a key. Just press "S", you'll get to see "Ctrl + Alt + S". Click "OK". That's it. You're all done. Just press "Ctrl + Alt + S", Notepad program will be launched. You can assign keyboard shortcut to any Windows application.